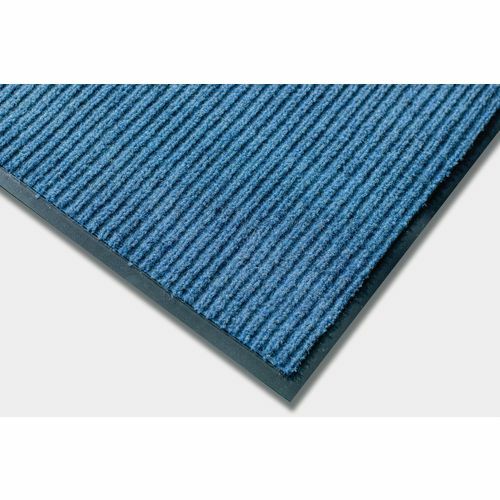 Superior quality ribbed mat simultaneously removes dirt, grit and moisture. Polypropylene with heavy duty slip and stain resistant PVC backing. Reception areas tend to be the first room someone sees when walking into a business so it is important that the area is welcoming and clean. A way to maintain the appearance of your entrance area is by placing matting inside in front of the main door. Our deluxe entrance matting is a superior quality ribbed mat that works to remove dirt, grit and moisture at the same time, preventing it from being walked into the rest of the building on people's footwear. These mats have outstanding durability so you can be sure that they will last and reduce the amount of debris from being brought in from outside. They are made from polypropylene and have PVC backing which is slip and stain resistant. They are available in a choice of three colours; blue, brown or charcoal, five lengths; 914, 1219, 1524, 1819 or 2438mm and in a choice on three widths; 610, 914 or 1219mm. 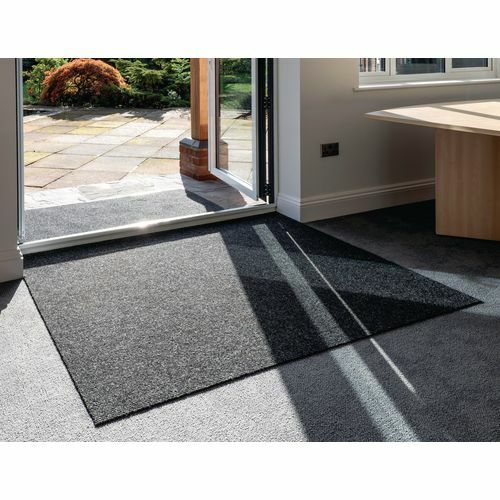 Overall our deluxe entrance matting will enhance and protect your premises from dirt being brought in from outside and they are available with a 12 month guarantee.